Beach Cities Health District (BCHD) is among the largest preventive health agencies in the nation, and has served the communities of Hermosa Beach, Manhattan Beach and Redondo Beach since 1955. They offer an extensive range of dynamic health and wellness programs, with innovative services and facilities to promote health and prevent diseases in every lifespan. They have access to a lot of resources and funding and have a big impact on the future of safe cycling in our beach cities. This November 6, there are 5 candidates running for 3 positions on the board. We asked all the candidates about their stand on bike related issues and below is their reply. A Registered Dietitian with a Master’s degree in Public Health from UCLA, Andrea N. Giancoli is an expert in health and nutrition, and she continues a long history of advocacy in promoting public health. Formerly a National Media Spokesperson for the Academy of Nutrition & Dietetics, Andrea contributes her nutrition expertise through media outlets across the country. She has appeared on NBC The Today Show, Access Hollywood Live!, The Doctors, E! Entertainment, Top Chef, Discovery Health, KNBC, KABC, KTLA, KTTV, Money 101, ABC radio, CBS radio, NPR etc. 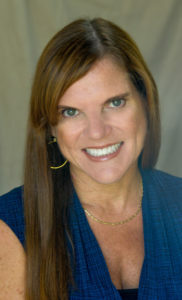 She has also contributed countless health and nutrition articles for several publications including Food & Nutrition, Chicago Tribune, Environmental Nutrition, Healthline.com, EatRight.org and Today’s Dietitian. Seasoned HealthCare executive with an extensive background in operations, administration, financial management and analysis, budgeting and organizational management. Specific hands on management of pre-hospital care, hospital based physician management and clinic based physician practices. I currently serve as a Board Member of the Beach Cities Health District. I am a married father of three children who attend our local public schools. My mother, who suffers from dementia, also lives in the Beach Cities. I have been volunteering for eight years at the Beach Cities Health District and was honored to be unanimously chosen to join the Board last year. I have an MBA and have created and run multi-million dollar businesses in the technology sector. I am now paying it forward by helping others have a healthier and more balanced life through my coaching work where I teach meditation, yoga, mind-body medicine and nutrition. 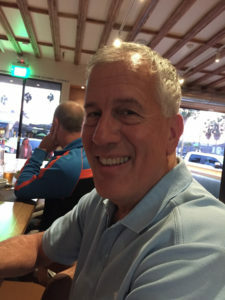 I am a physician and homeowner in Manhattan Beach. 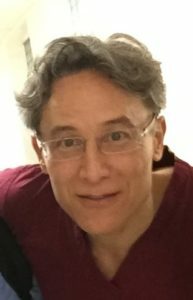 I regularly teach and supervise Residents and Fellows in Anesthesiology at UCLA School of Medicine and have for 25 years. With broad experience in both academic and private practice medicine, I am familiar with the issues in providing healthcare and services to our community. Having run my own practice, I know what it takes to run a sound and successful financial enterprise. 1. 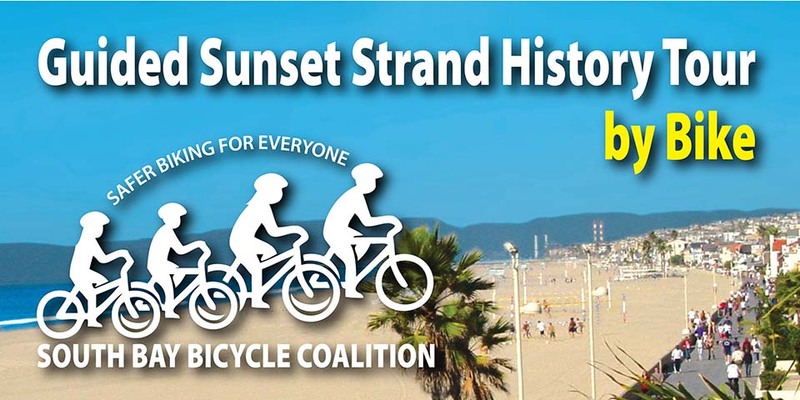 Do you support the implementation of the complete bike masterplan in the beach cities? David: I would fully support the concept of a bike master plan which would involve the Beach Cities. I phrase it in these terms as I feel a masterplan needs to involve more cities then the three in the Beach Cities Health District catchment area. The 2011 master plan included a wider group of cities and I would support a plan for the entire geographic area. Vish: YES!! I will be attending the living streets design meeting on Monday to help facilitate a more healthy, clean way of getting around our cities. Noel: I support the Bicycle Masterplan for the Beach Cities and the Regional Bicycle Masterplan. 2. What do you believe is the right timeframe for the implementation of the masterplan? David: Simply because there are multiple cities and the county involved I would think that a five year window should be reasonable for implementation of a master bike plan. Vish: I think there needs to be some short-term (within 1-2 years) solutions to enable safer cycling for adults and kids wherever possible. Then a longer term plan (5-8 years) of a deeper redesign of our biking amenities. Noel: The function of the District in this program is as an advocate for adoption of Livability and Living Streets. 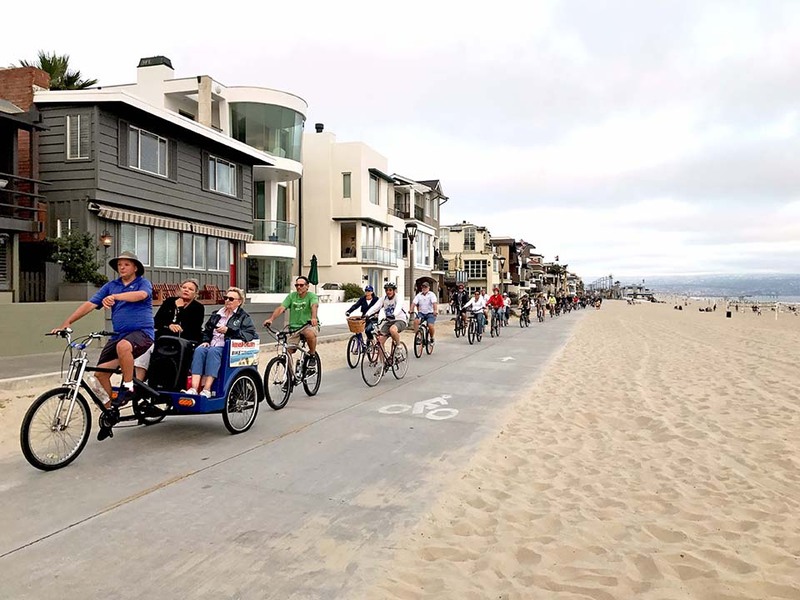 To date, we have been able to persuade Hermosa Beach and Redondo Beach to adopt ‘Living Streets’ concepts and integrate these principles into their urban planning principles. We continue to work with the City of Manhattan Beach to get them to see the wisdom in these policies. 3. 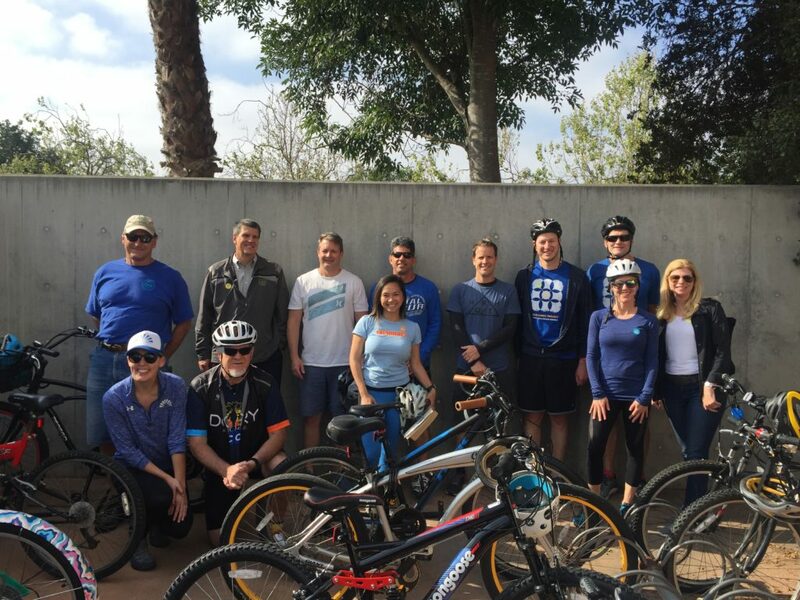 What do you think should BCHD‘s role be in helping move the bike masterplan forward in the beach cities? Andrea: Provide funding to SBBC for advocacy. Do advocacy to city staff and elected officials. David: I would hope that the BCHD Board would take an active role in both the gathering of community input, researching plan elements that have been successful in other geographic areas, being an active participant in planning/design meetings, and adding it’s leadership skill and experience to the process. 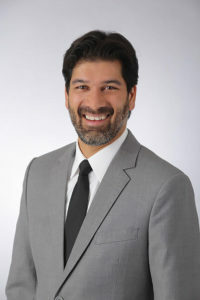 Vish: Advocating for health, happiness and well-being is our primary mission at BCHD. Cycling happens to improve health directly through it’s exercise, and indirectly through cleaner air. It has also been correlated with improved happiness. I used to bike commute 10 miles each way a couple of times a week and found I arrived home a lot more decompressed, than when I drove the 10 miles home! BCHD’s role should be as one of the leaders in moving the plan forward. Noel: The District has made a lasting and fundamental commitment with permanent staff assigned to these tasks and under my leadership will continue to do so. 4. 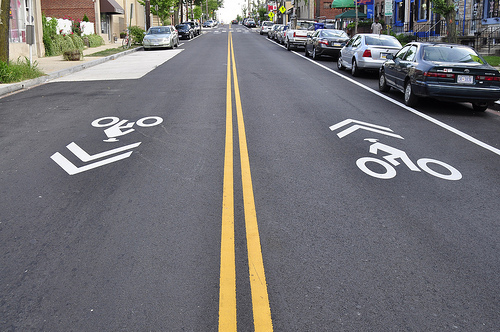 How much priority and resources would you be willing to support towards safe cycling education? Andrea: That’s a good question. It’s definitely a priority and would need more information about the costs, numbers reached, etc. to determine resources. David: The last question is difficult for me to answer as I am not an incumbent and do not have a keen working knowledge of all of the priorities facing the Health District or the Board of Directors. 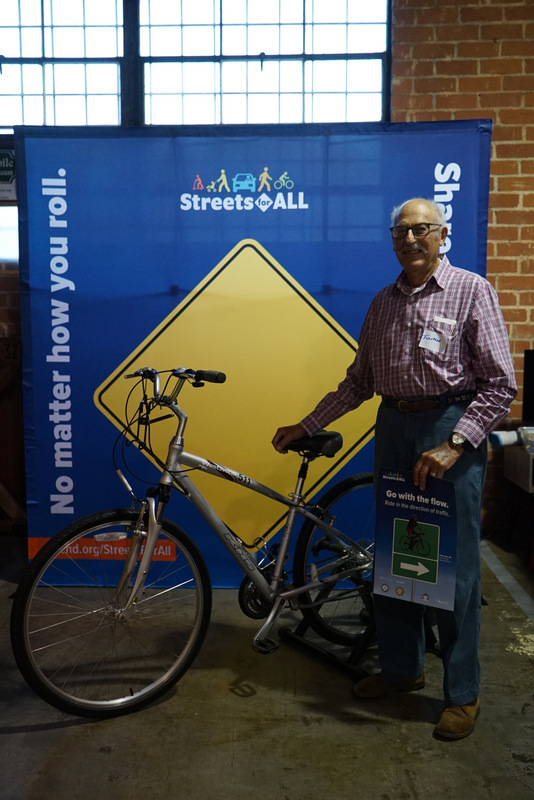 Vish: I support training children in the schools around bike safety and financial resources towards signage throughout our communities. Find all the information about the coming election HERE. Checkout your sample ballot, find your polling place and more. Vote on TUESDAY, NOVEMBER 6, 2018! 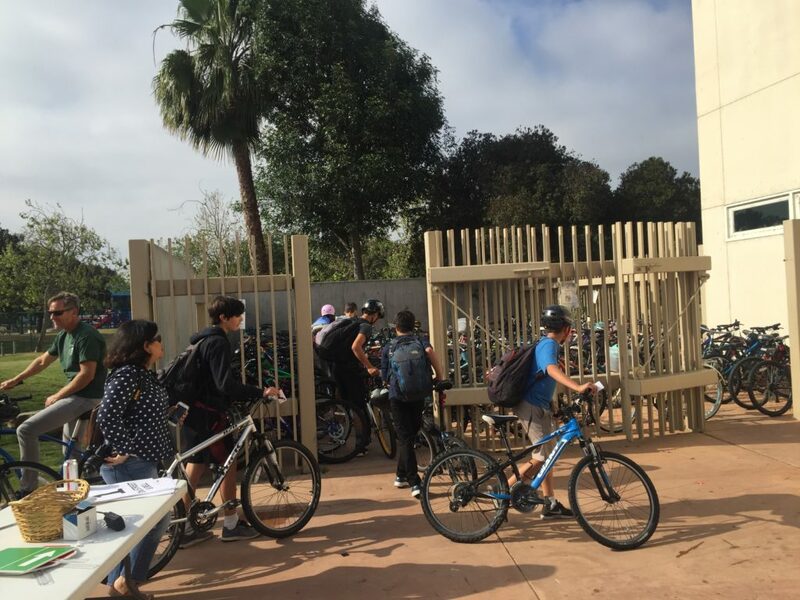 We had another successful Bike To School Day in Manhattan Beach Middle School last May. 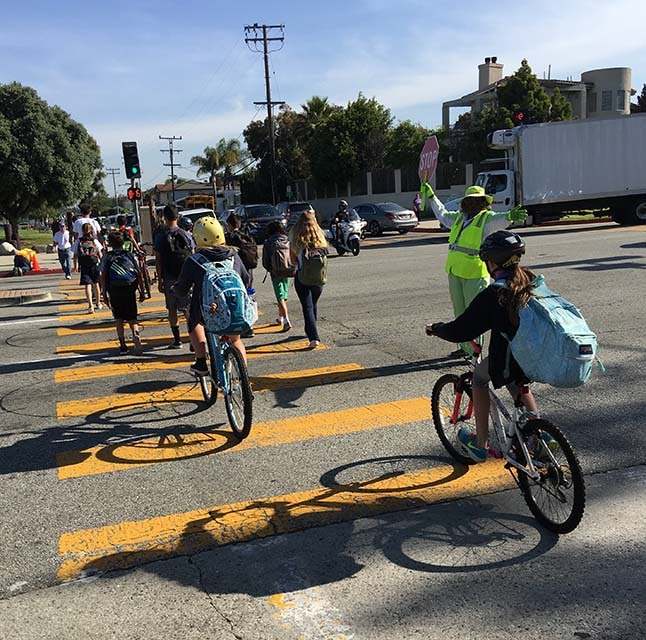 We had 110 kids riding their bicycle to and from school with the guidance of awesome volunteers. 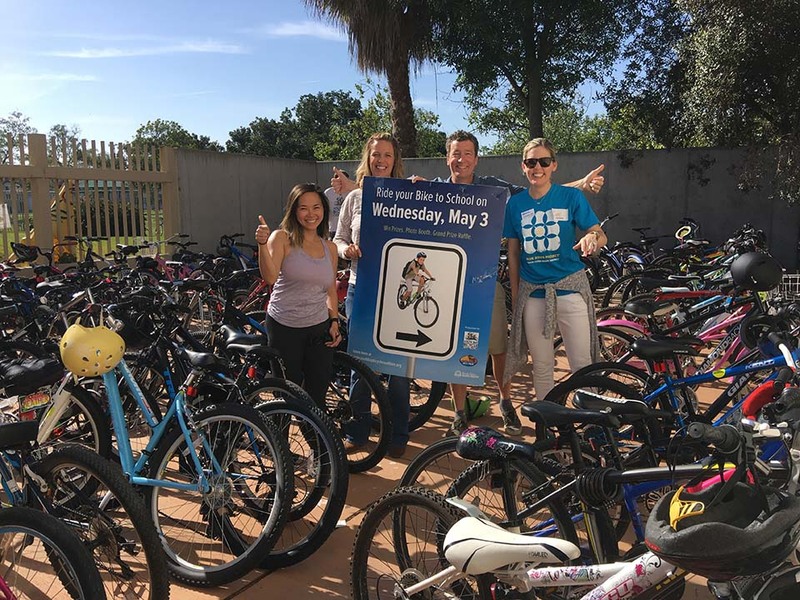 South Bay Bicycle Coalition together with Leadership Manhattan Beach and Beach Cities Health District put out swag for the kids who rode their bikes to school. 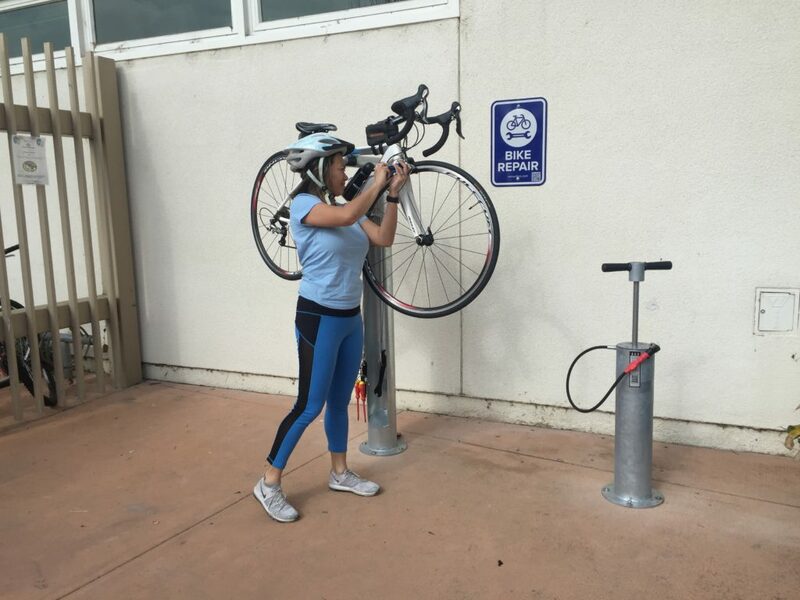 There were stickers, sunglasses, cookies, bike lights and last but not least, a new Bike Fix It Station added right next to all the bike corrals. Thanks to LMB, kids can now inflate a tire or adjust their brakes before heading home. Thank you to all our wonderful volunteers who helped bring kids to school and safely back home. And thank you to the parents who let their children participate in our Bike To School Day! And of course, we’d like to give a shoutout to Manhattan Beach Middle School’s Principal, Kim, who was so hands on with the event! We can’t wait for next years Bike To School. 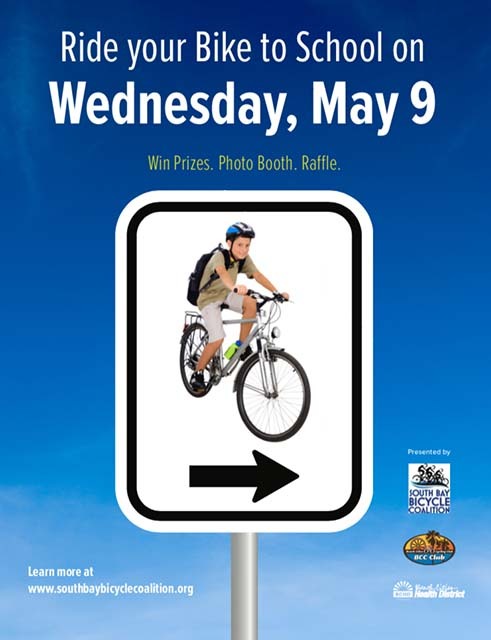 Hope to see you and your bikes there! We are deeply saddened with the passing of a beautiful soul. 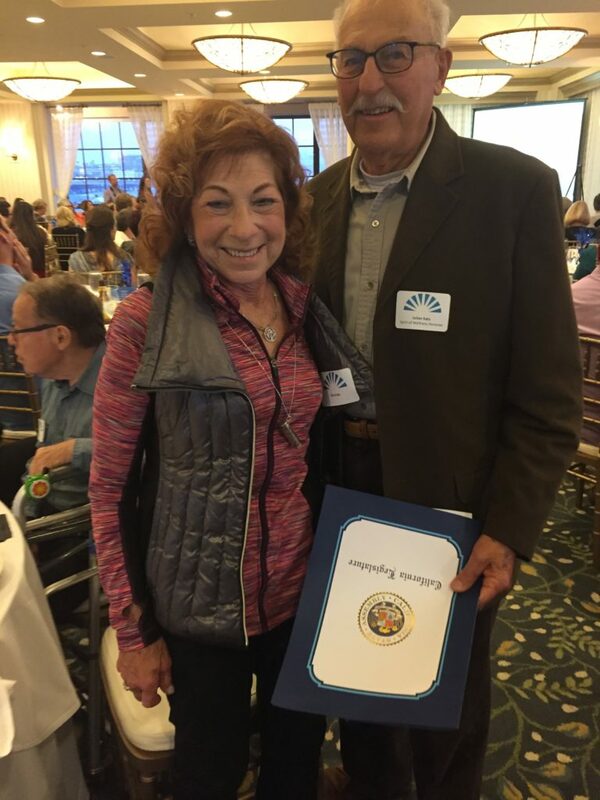 Julian Katz was a South Bay Bike Coalition Board member and an inspiration to all of us. He is the only 88 year old we know who responds to texts, emails and doodle polls. Until recently, he rode his bike everywhere he went. Julian was always pushing for things to be better; to add more bike lanes, give bikes to underprivileged kids, setup a bike swap program etc. He knew that in order for things to improve, we have to embrace change. That change is a good thing! There was nothing Julian loved more than teaching kids to ride bikes for the first time and giving bikes to kids who could not afford one. In his memory, we are creating a fund to make sure the kids he loved especially the ones from 186th Elementary School in Gardena are taught bike safety skills and given new bikes and safety equipment when they need it. A few of Julian’s friends are meeting on June 10, 2018 10am at Manhattan Beach Pier to ride their bikes in honor of Julian. 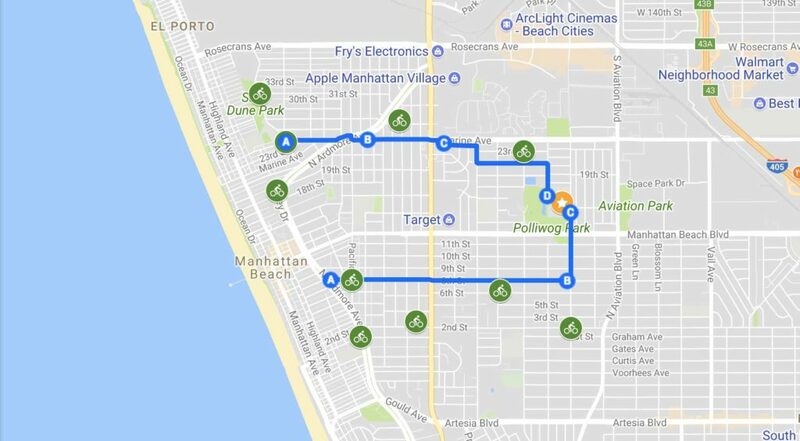 The ride will be from Manhattan Beach Pier to North Redondo. On the return, we are dedicating 1 of the mini bike corrals in Hermosa Beach t0 our bicycle hero, Julian Katz. This will be a social / family friendly ride. Everyone is welcome to join as they please. We’d love for you to come bike with us in your most whimsical outfit. We will be the group with handlebar mustaches.